1. Alf’s was created by Ted & Lesley Brazier on April 1st 1994. 2. Kate & Peter Ryder helped out for a couple of years and then took over the reins in 1997 … the rest as they say is history. 3. 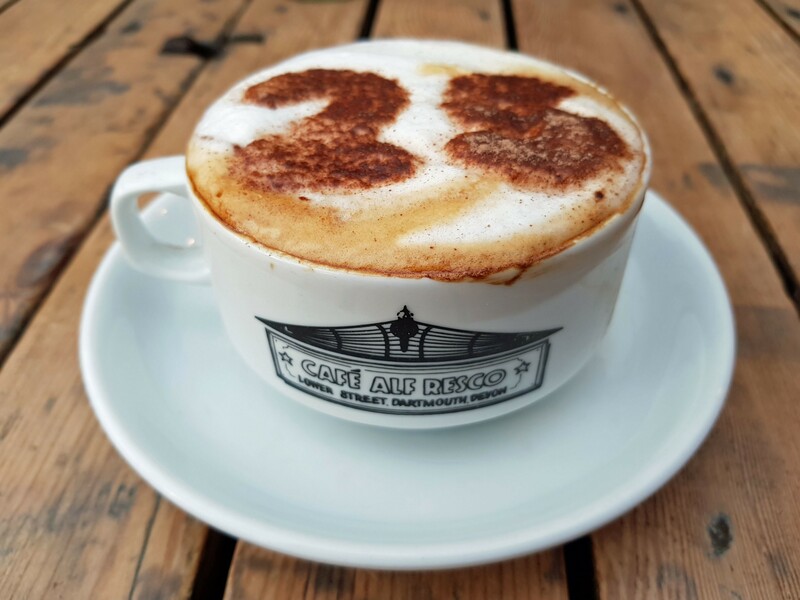 The 25th birthday celebrations will begin at Alf’s on Monday 1st April from 7am, with the classic Alf’s Breakfast and coffee available all day at 1994 prices. 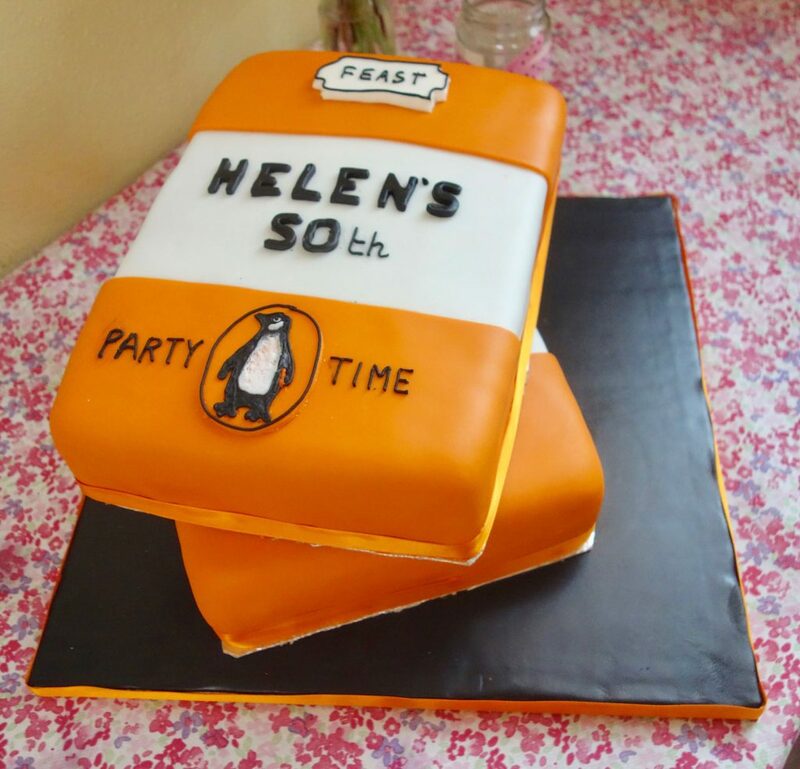 There will be cake, bubbles, a chance to spot yourselves in our photo memory books and, in keeping with Alf’s legendary ethos, absolutely everyone is welcome. 4. As part of their 25th celebrations they have created some limited edition merchandise including tea towels, mugs, jigsaw puzzles and key rings, which will be available in the cafe and online from Monday. 5. 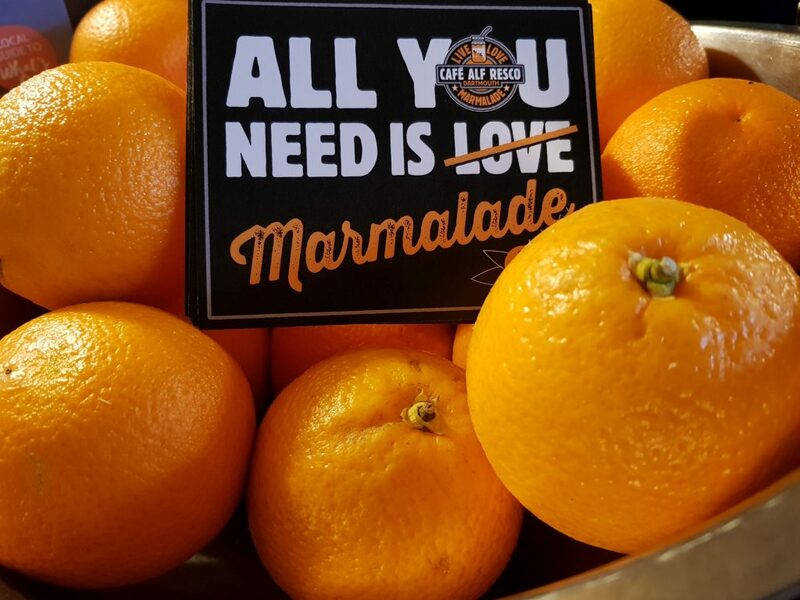 All their food is locally sourced and nothing comes in pre-prepared -they bake their own hams, make soups daily, bake the cakes and prepare the fresh salads. Kate and Peter are also passionate supporters of other local businesses. 6. The cafe is open daily from 7am – 2pm. 7. The Alf’s Crew could give masterclasses on teamwork. The whole place seemingly runs like clockwork, everyone knows their role but are quick to assist someone else if necessary. To help achieve that closeness the team eat lunch together after the cafe closes, organise regular staff nights out and make sure they look after the younger members of the team … even taking it upon themselves to scrutinise (positively) potential boyfriends or girlfriends !! 8. Sustainability is a passion (nay obsession) of theirs and they turned their back on plastic products long before David Attenborough came on the scene. 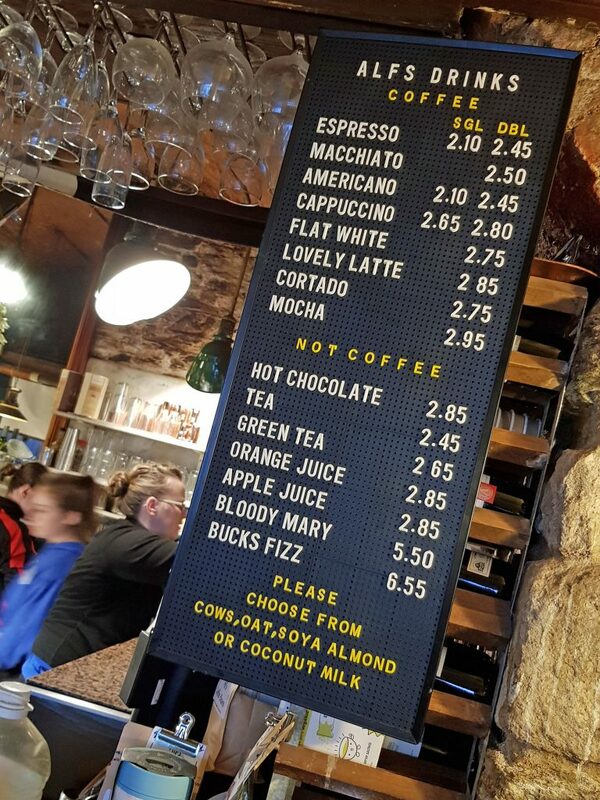 They send their food waste for composting, have invested in take-away cups that can be put in standard recycling bins and are now selling the reusable rCUP, the only cup on the market that is made from single-use coffee cups. An added bonus is that it is made in Cornwall. They have even been know to give their avocado skins and seeds to a local lady who uses them to dye fabrics – you see I told you they were obsessional! 9. Every canine that trots through the door is offered (and believe it or not accepts) a dog sausage. 10. Community is at the heart of everything they do. As Kate says “The people who make up the community of Dartmouth are very dear to us. They are the reason we have been here for 25 years and it is important that we give back“. 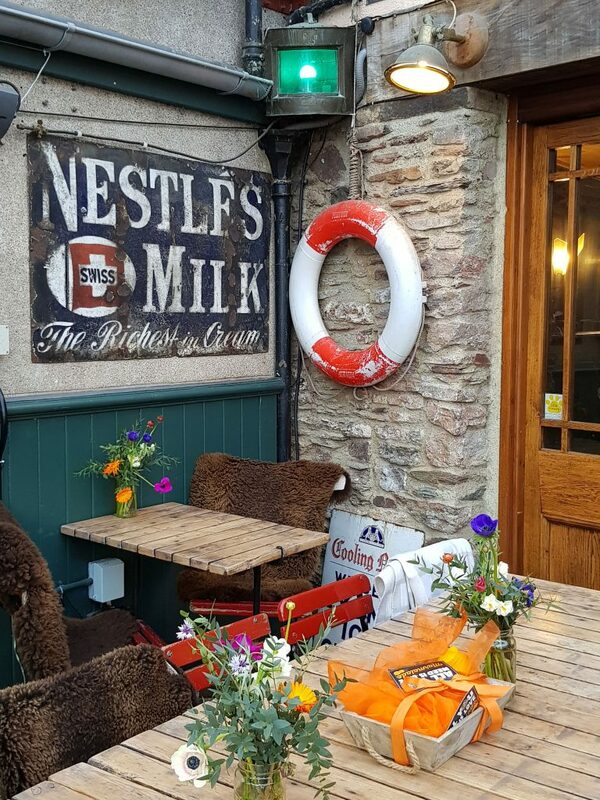 They do that in a myriad of ways from hosting fundraising suppers for local charities, supplying clothing to youngsters participating in the Ten Tors, feeding local primary school children during National Breakfast Week and sponsoring local festivals and events including the Dartmouth Food Festival. 11. 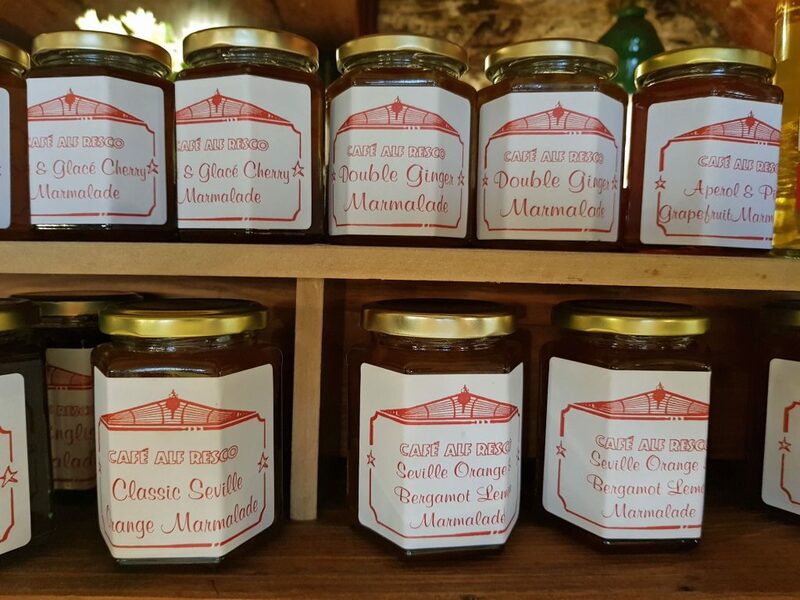 Kate has won double gold for her home-made marmalade at the International Marmalade Festival in Penrith. 12. 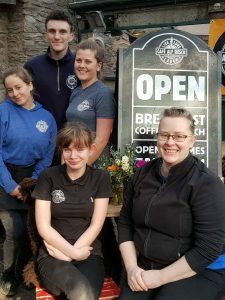 This year for the first time they have taken on an apprentice (Emily Frost) who is studying Food & Beverage Management at South Devon College. She is at Alf’s to concentrate on Front of House etiquette and Customer Service and already loves it so much she wants to stay on. 13. The most hated job in the kitchen is the filling and emptying of the dishwasher. If I worked there it would be cleaning the tops of the sauce bottles … ugh! 14. 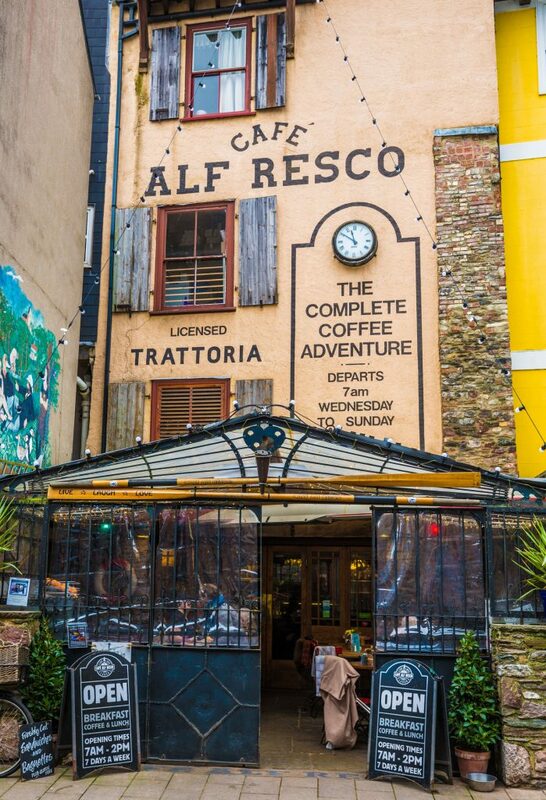 Alf’s has been quick to adapt to new food trends and was probably the first local cafe to offer the now uber trendy smashed avocado on toast. 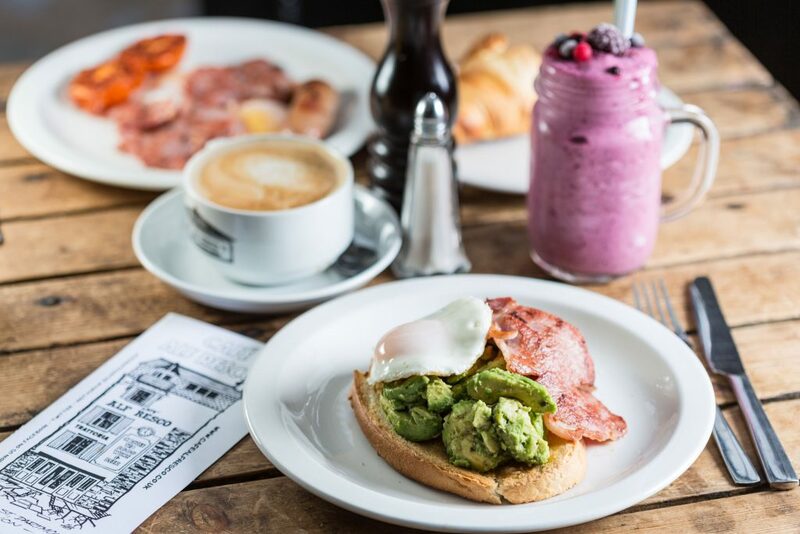 Leanne reveals that they did have a discussion as to whether they should explain what an avocado was when it first appeared on the menu many years ago … how times have changed. 16. Future careers in hospitality and catering have been spawned at Alf’s. 17. 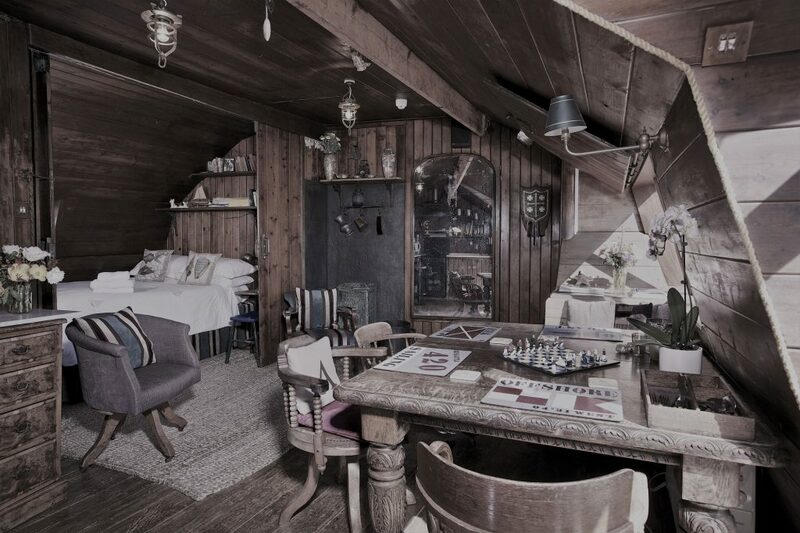 Above the cafe are 2 B&B rooms plus the amazingly quirky Captain’s Cabin – a self contained flat looking out to sea. 18. Look out later in the year for special edition cushions which are being made from old (but unworn!) Alf’s sweatshirts/t-shirts. 19. Alf’s has been awarded Best Granola in the National Breakfast Awards. 20. Alf’s sponsors, organises and runs the Children’s Day at the Dartmouth Food Festival – which allows over 200 local school children to attend (free of charge) a series of food related workshops. 21. 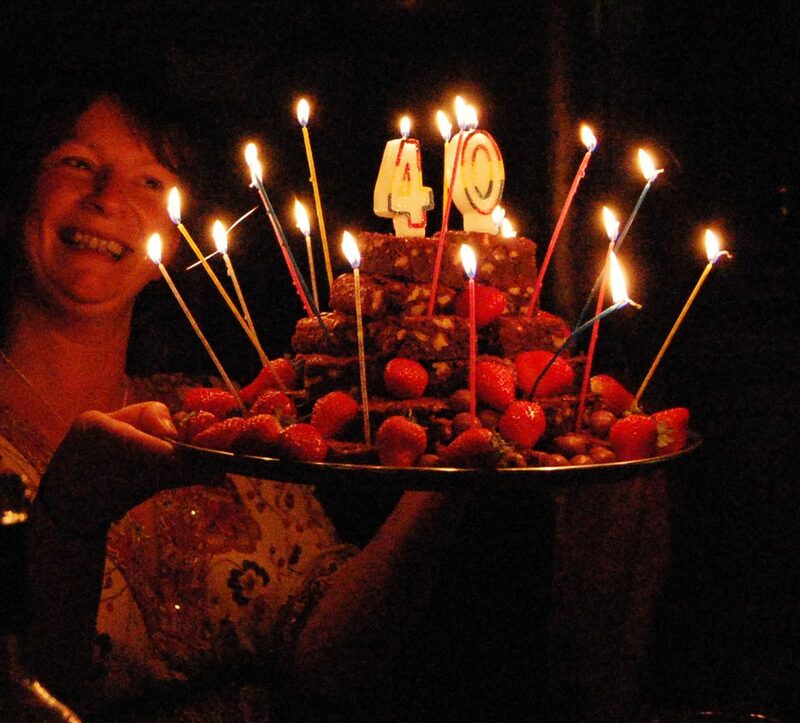 Leanne is a demon cake maker – and has lost count of the number of chocolate brownie towers she has made for birthday celebrations … she has made both my 40th and 50th birthday cakes. 22. Alf’s sponsors the Regatta Tennis Tournament each year. 23. 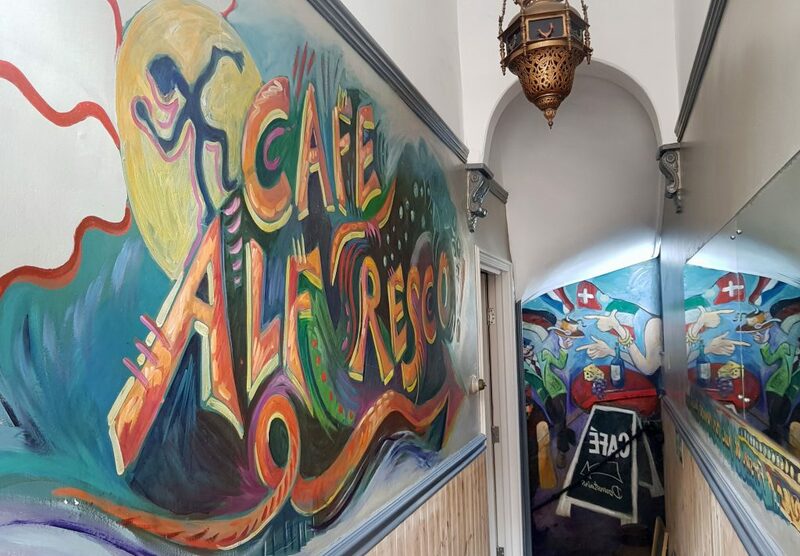 The mural you see as you enter the back door was painted by a collection of local artists including Simon Drew. 24. If you love the music selection in the cafe tune into Radio Paradise. 25. Their motto is Live, Love, Laugh. MDD LIKES … that you can always find someone in there you know!